We’ve ‘eaten’ a lot of green juices on my ‘Health on a Plate’ nutrition courses and a question I frequently get asked by students is “what is the difference between a juice and a smoothie”? They are indeed quite different, both are incredibly good for your health and it’s important to have a balance of them in your diet for maximum benefit… just like everything else. Juicing involves extracting the fibre from the fruit and vegetables used, and is an opportunity to introduce a power punch of alkalising minerals and phytonutrients to the body on a daily basis. You can juice a whole romaine lettuce, 6 celery stalks, a cucumber, 2 juicy apples, lemon and a little ginger (I love the last 2 for maximum cleansing), an amount of fruit and vegetables you would probably find difficult to ‘eat’ in that mix and quantity. 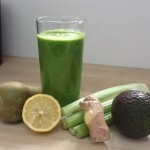 Juicing is also a potent way of detoxifying at cellular level. Your body can only be in a state of stress (fight or flight) or growth and repair, and juicing completely bypasses the energy intensive, often stressful, act of digestion, giving your body the opportunity to use all the juiced nutrients for healing. A juicer will extract all the nutrients, leaving the fibre and pulp to be disposed of or recycled (great compost!). The juice can stay fresh and healthy for a day, but for maximum benefit, to get the most of the live, active enzymes within the juice, I recommend drinking within an hour of juicing, sipping slowly over a period of about 20 minutes. If you don’t have a juicer, you can blend the ingredients in a high powered blender and then squeeze the contents through a nut milk bag or muslin square to get to the juice. Making smoothies in a blender provides you with an amazing opportunity to make a ‘meal’ of a wide range of fruits, vegetables, herbs and superfoods. They are more calorie dense and nutrient dense, so sustain you for longer periods of time. Smoothies retain all the fibre which is so important for colon health. The fibre encourages transit time of waste products, helps remove toxic waste and gives a boost to the good bacteria that colonise (no pun intended!) your colon. These good bacteria in turn promote and support many important bodily functions, including your immune system. I’m really lazy, and to my smoothie I often add my supplements and superfoods. Commonly I would include my liquid flax and/or fish oil, lecithin granules, ground mixed seeds (including chia seeds), maca powder and wheat grass or barley grass. Boom! A POWERHOUSE of a meal! They are a ‘meal’ however, and although digestive stress is minimised, you do need to ‘chew’ them to activate important digestive enzymes. If you ‘drink’ them too quickly, you could experience digestive bloating or wind. A word of caution… it’s really easy to include more fruits than vegetables in either a juice or a smoothie, particularly if you have a sweet tooth. The ratio of green veg to sweeter fruit should be 3 parts vegetables to 1 part fruit. 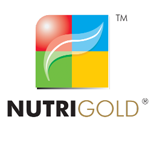 In this ratio you will ensure you don’t spike your blood sugar and also provide the balance of nutrients your cells will love you for, boosting your health, energy and vitality in a very short space of time. If you can’t achieve this straight away… take note of the contents of your juice and smoothie and endeavor to improve the ratio each time you make one. Step by step, little by little… that’s all good. When to have them? I recommend having a juices in the morning for their cleansing properties, and smoothies in the afternoons for their nurturing properties. And recipes? Basically anything goes! Especially if it is green! There are lots of recipes on the internet, and one of my favourite books, giving a wonderful insight into the benefits of green smoothies, is Victoria Boutenko, Green for Life . Remember… sip your juice like wine and chew your smoothie like a meal.